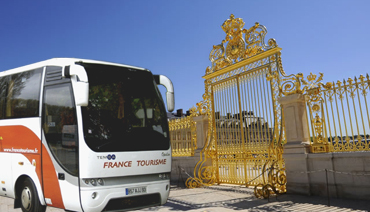 In order to access to The Versailles Palace, France Tourisme propose you Paris-Versailles-Paris Shuttles, departure and return at our agency in the center of Paris. Transfer 8:00 a.m. - 1:00 p.m. Transfer 2:00 p.m. - 7:00 p.m. Transfer 8:00 a.m. - 7:00 p.m.